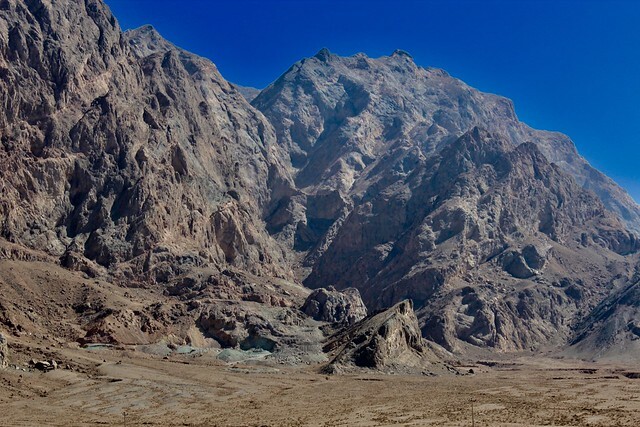 The road out to Chak Chak took me through some of the most delightful scenery I have seen so far in Iran. 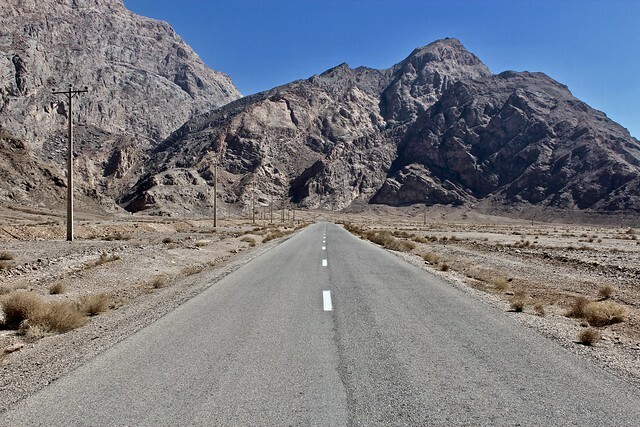 One road in particular stretched into the distance for what seemed like forever until it ran into the base of the mountains. As we moved down this road, the village of Chak Chak started to come into view out of our left window, halfway up the mountain side. 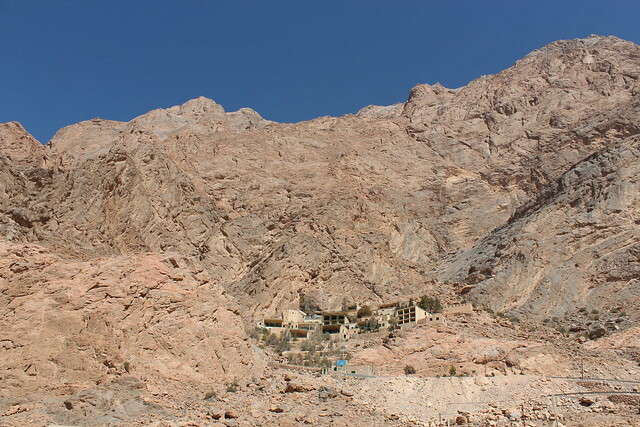 The story goes that Nikbanou, second daughter of the last Persian ruler, Yazdegerd III of the Sassanid Empire, fled here under attack by an Arab army in 640 CE. It’s not hard to see why young Nikbanou might have chosen this spot. If setting up for a defence, Chak Chak would be a great location. From the village you have a fantastic view out over the only viable approach. You would also have a fantastic height advantage in which to defend from. The Sassanid Empire was the last imperial dynasty in Persia before the rise of Islam. Though religion was still very much a thing during this era of Persian history, however we are talking about Zoroastrianism rather than Islam. Zoroastrianism is a religion that was born in ancient Persia and was the state religion for Persian Empires from 600 BCE to 650 CE. 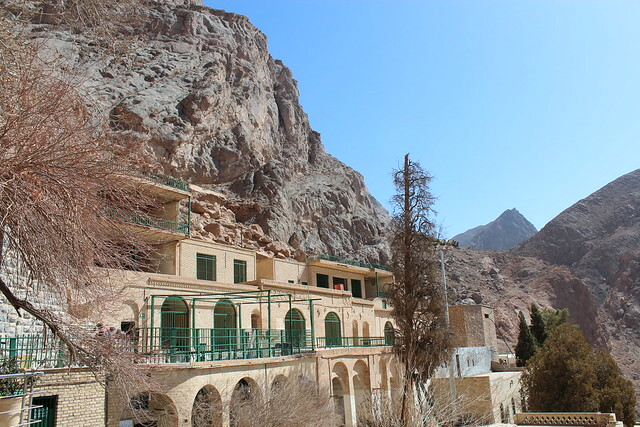 Nikbanou, the young woman who fled to this area to escape an Arab army, prayed to Ahura Mazda, creator and only God in the Zoroastrian religion. 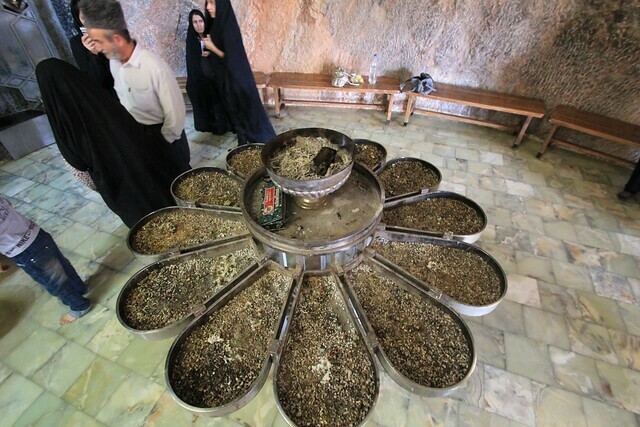 Long story short, Chak Chak now serves as a pilgrimage point for pious Zoroastrians. 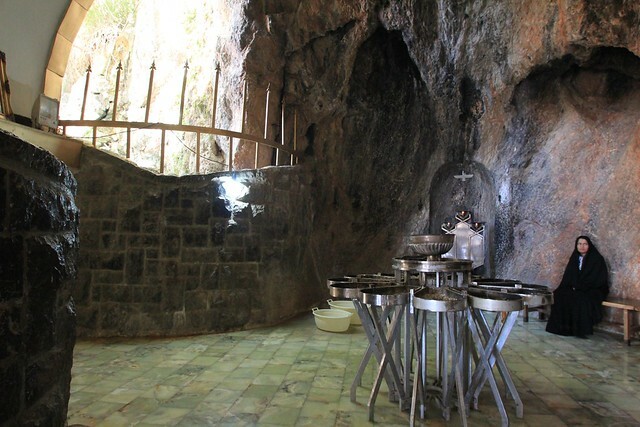 Each year for 4 days in June, thousands of Zoroastrians from all over the world, flock to Chak Chak. Tradition has it that pilgrims are to stop riding the moment they catch sight of the temple and complete the last leg of their journey on foot. 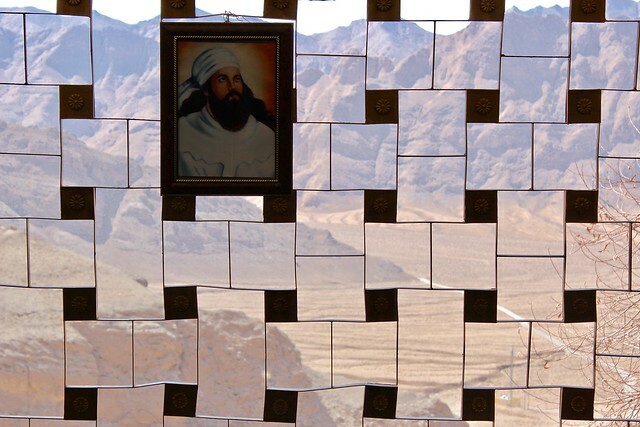 Chak Chak then, is not just a small village in the mountains, but a Zoroastrian fire temple and the most sacred of the mountain shrines of Zoroastrianism. Like the name suggests, at the centre of a the Chak Chak fire temple is a fire, or Atar. A picture of who I assume is supposed to be Ahura Mazda (edit: turns out it’s not, it’s actually Zoroaster!) hangs against an interior wall of the temple against the stunning backdrop of the mountains. 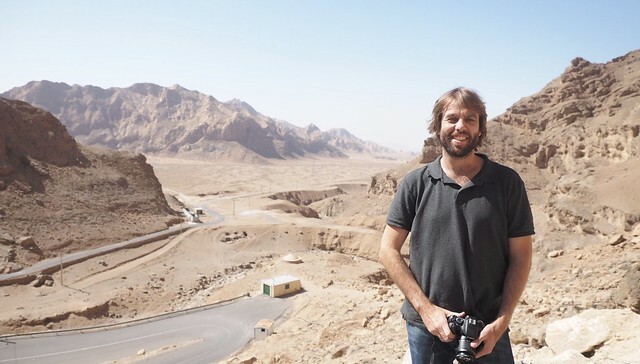 Freshly armed with a bunch of new knowledge about Zoroastrianism, myself and my travel companion Ellen took a few more photos at that very straight and picturesque road we came in on. 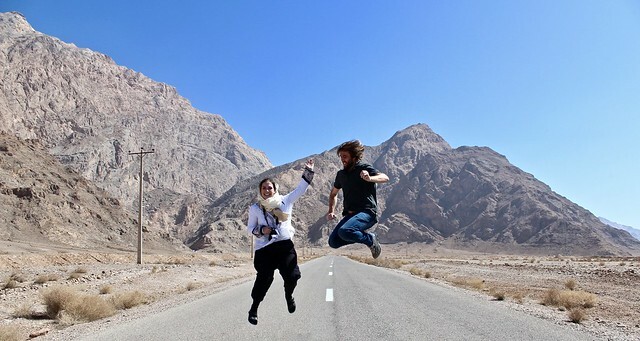 I don’t mind a good jumping photo! And one more photo to finish up. I love the character of these mountains. So much intricate detail and texture. 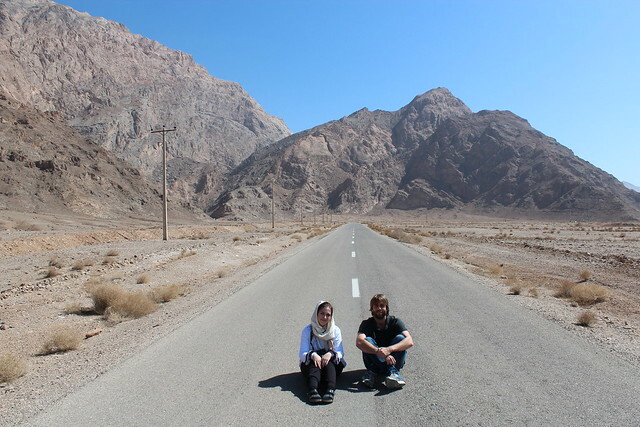 Next up will be my last post detailing my time in Yazd before I then write a few more stories about Kashan. A place I returned to on my way back to Tehran.